Setting aside differences and conflicts, free labor markets across ASEAN may be the best path to prosperity and antidote for poverty in the region. It is worth keeping in mind that "highly skilled human resources" includes many manual labor occupations requiring special training and experience such as automotive technicians, machinists, welders and carpenters. 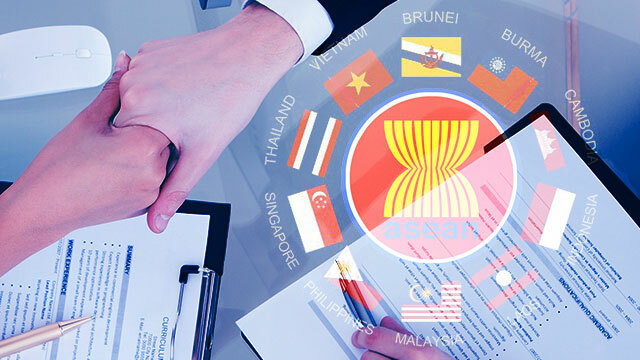 Knowledge of how labor markets operate in different ASEAN states will become increasingly important. For example, one way in which many large companies in the Philippines adjusted to high unemployment during the recent global economic slowdown was by offering temporary labor contracts. This spread the limited available work around more evenly until the economy reached better times. When the economy got better people were more likely to land a good job in their job search. Foreign skills seen as opportunity, not threat by Importing foreign skilled workers should be seen as an opportunity for exchanging knowledge to raise Thailand's competitiveness rather than a threat, says Labor Minister Chalermchai Sri-on. The country would definitely experience problems if there is no prudent planning and preparation for the Asean Economic Community (AEC) in 2015, when freedom of movement for workers will become much easier, he said. What we need is to assess demand for labor in each industry," he said. "I think there are both benefits since we will be able to choose the kind of labor that we want, and drawbacks, because on the other hand it will be kind of a competition. A senior economist at Siam Commercial Bank's Economic Intelligence Center, said many sectors lacked skilled labor, such as the IT sector in which Indians have a specialty, and also automotive technicians. "Thailand now focuses only on bringing in unskilled labor without focusing much on skilled labor. The AEC will provide us an opportunity to bring in highly skilled human resources to share knowledge, but we also need to adapt," said Dr Kampon, who also proposed that sectors that need skilled labor should be provided with lower taxes. The creation of a regional labor market will introduce more flexibility in national labor markets and could allow for further specialization of human resources," said Mr Gordy. He said that in general, economic analyses tend to prove that the benefits of a common regional labor market far outweigh the disadvantages. The goal of 2015 presents a strong incentive for governments to upgrade their human resources. Another element the Thai government may wish to consider is to allow for employment by the hour rather than by the day. This would allow for more part-time employment and help bring more Thais into productive employment," he added.